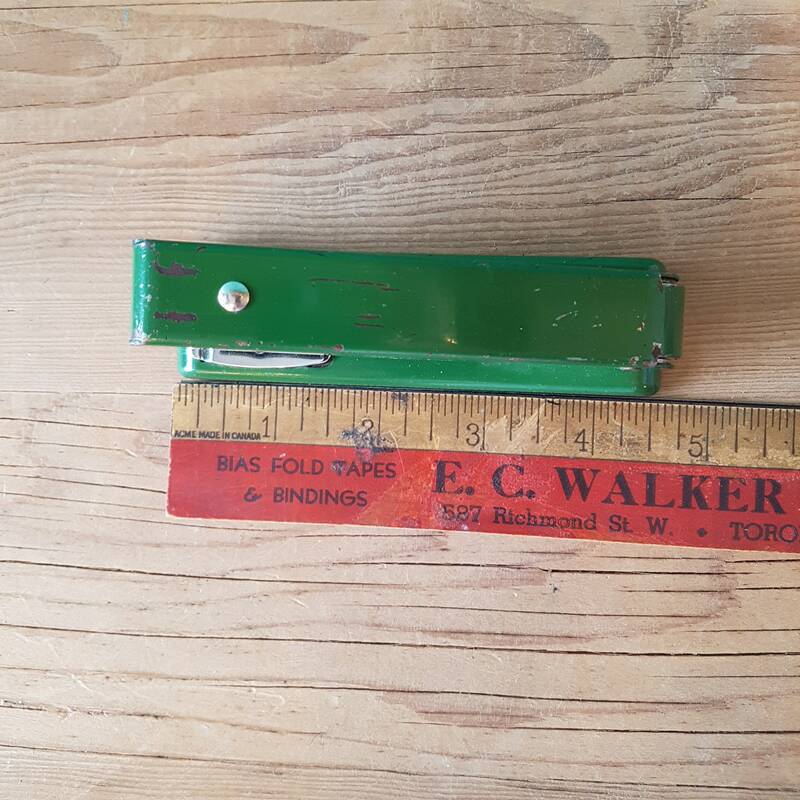 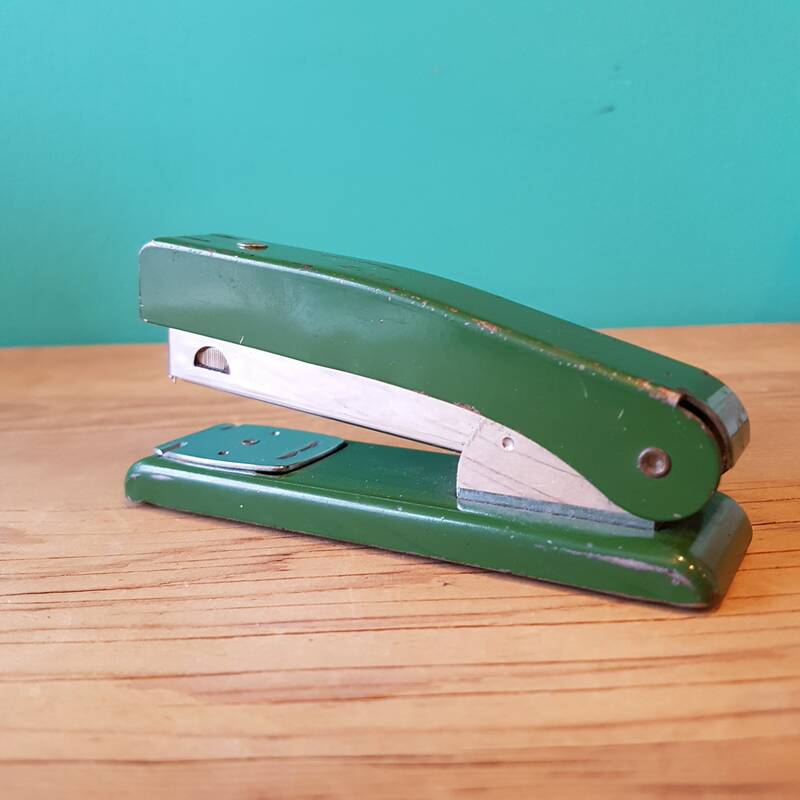 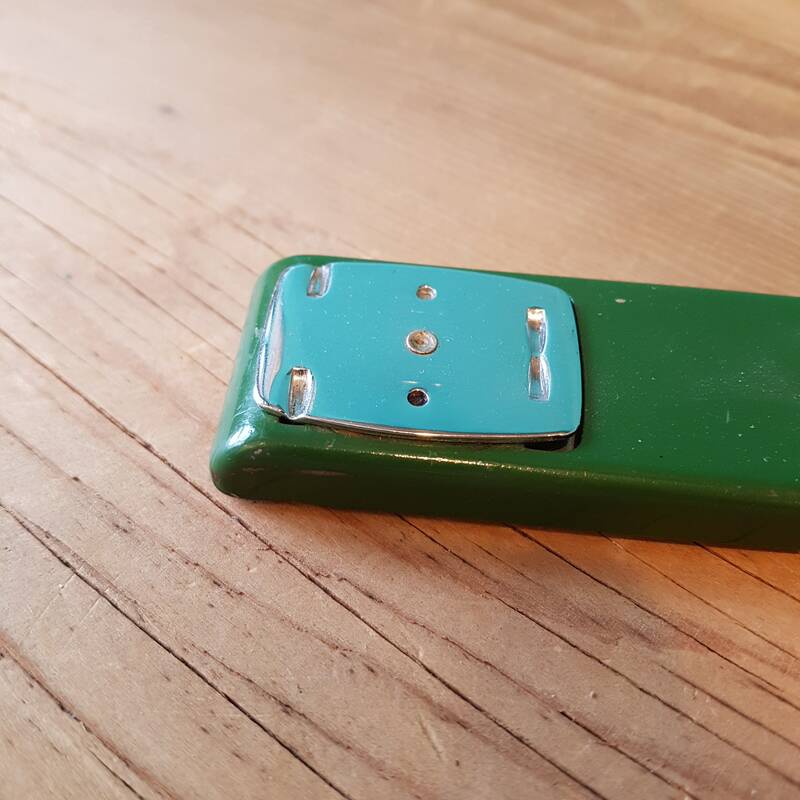 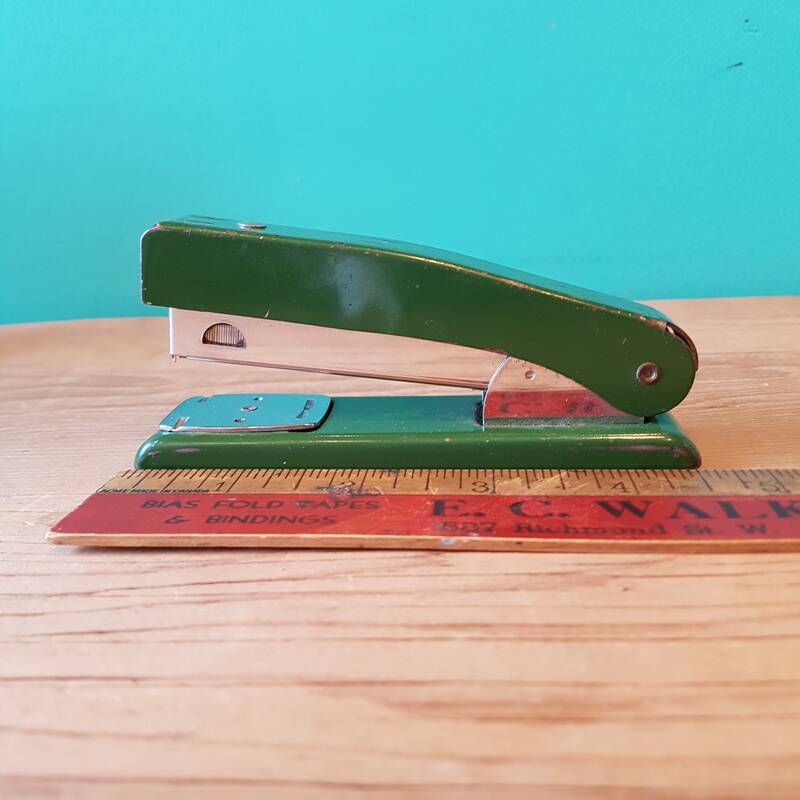 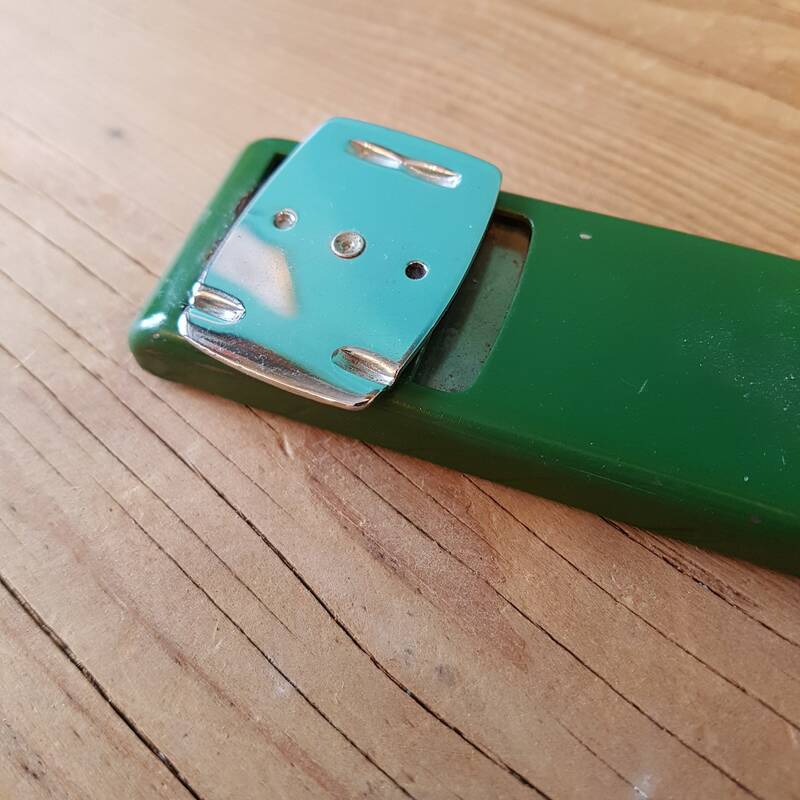 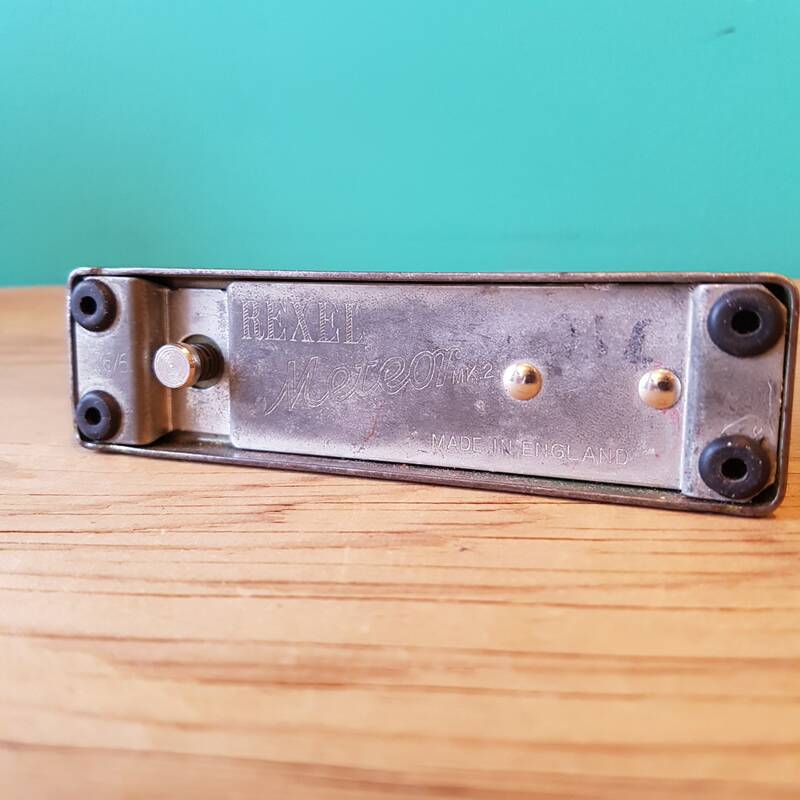 This small desk stapler is a 1950's Rexel Meteor MK.2, a 26/6 gauge with spring loaded reversible anvil. 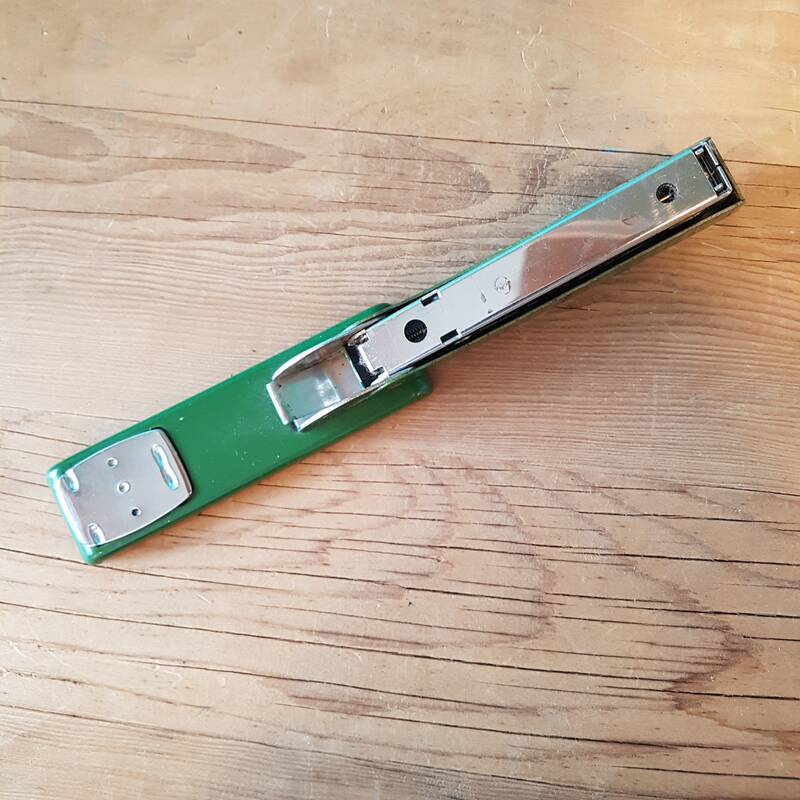 Bent outward, staples are easy remove for temporary use, while bent inward, staples hold fast. 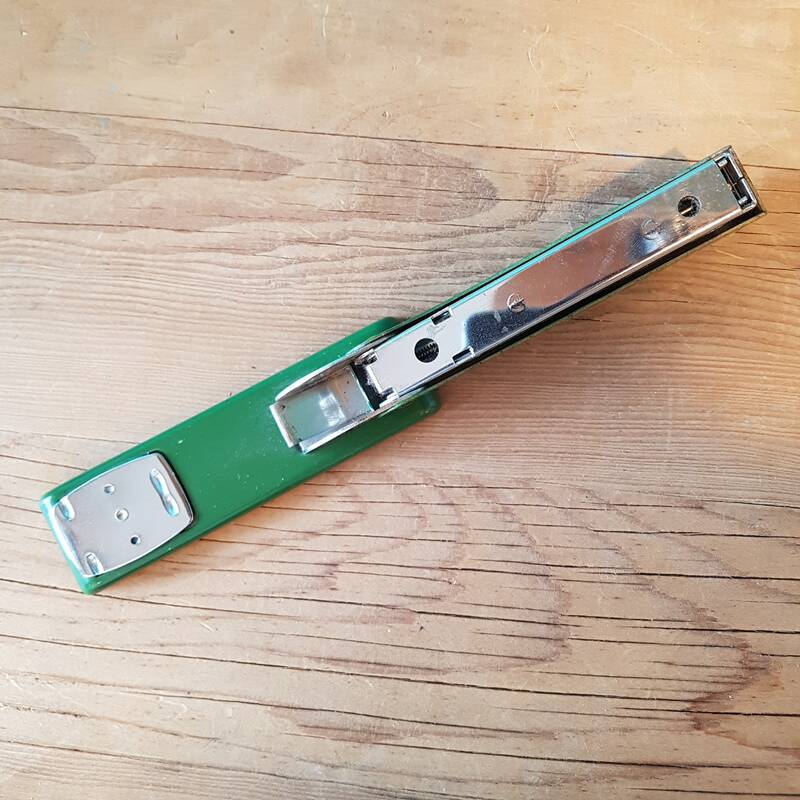 Stapler also functions flat.